Editor’s Note: This article first appeared in the September 2016 edition of TTAC’s Heroes Against Cancer member newsletter. Since practically the beginning of time, mankind has been on the hunt for new and better ways to ease the burden of having to work the earth for food. 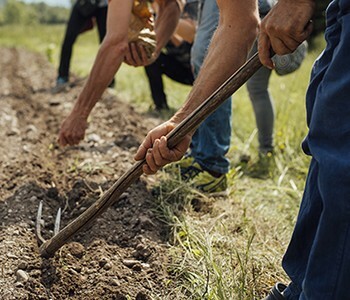 Plowing, tilling, cultivating, and harvesting: it can be a deeply rewarding experience, no doubt, but one that also comes with its own unique set of challenges and hardships. When pestilence, disease, or drought ravage the fruits of one’s labor – the toil and sweat of a job well done stolen away by unrelenting Mother Nature – the motivation quickly becomes: how can I make this whole farming thing easier and less taxing on my efforts and resources? 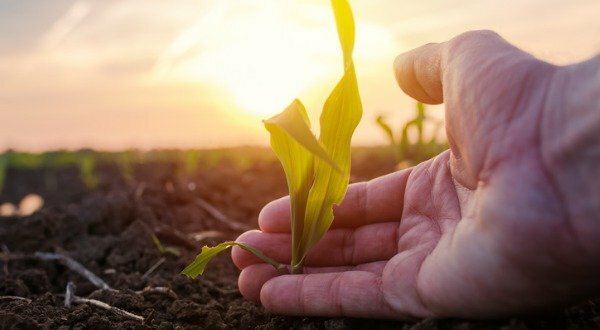 In the modern age, the answer to this age-old question has centered around the development of advanced chemical pesticides and herbicides designed to target various insects, weeds, diseases, and climate conditions in the hopes that doing so will lead to higher yields with the least possible effort. Much like modern, drug-based medicine, it’s a plan of action that addresses the symptoms of a specific problem rather than the root cause – and in many cases it works, at least initially. But it’s also a particularly toxic approach that, as in the case of the world’s most widely used herbicide, is doing substantial harm to our soils, our water, our air, our pets, and even our own bodies. The chemical I’m referring to is known as glyphosate, the primary active ingredient in the widely popular Roundup herbicide manufactured by the Monsanto Company. Chances are you’ve seen it in the garden section at your local hardware or home improvement store, or maybe even purchased it yourself for use on your lawn or flower beds. Roundup is aggressively marketed as a safe and eﬀective way to control persistent weeds, one of the most problematic aspects of farming. This selling tactic has worked wonders. Statistics show that glyphosate is now applied to the tune of 300 million pounds annually, just on U.S. farms alone. This is a truly staggering figure that allows Monsanto bragging rights to claim that glyphosate is an agricultural miracle and that farmers just love the stuﬀ. But is this actually true? And more importantly, is glyphosate actually as safe and eﬀective as Monsanto claims it is? In this month’s newsletter focus, I’ll unpack the science behind glyphosate that Monsanto doesn’t want you to know, including the now-verified fact that glyphosate can and does cause cancer, both in animals and humans. Additionally, I’ll also offer some helpful tips that you and your family can use to avoid this persistent environmental chemical and the threat to your health that it poses. Originally developed and patented as an industrial chelating agent (something that acts like a magnet), glyphosate’s inherent purpose and mode of action is to draw out metal ions from wherever it’s applied. In the case of plants, it binds to trace minerals and nutrients like manganese, magnesium, zinc, calcium, and iron, among many others. It does this in order to disrupt the physiological and enzymatic processes plants require for growth and life, ultimately destroying them. For this reason, glyphosate is used as a broad-spectrum weed killer both in residential and commercial applications. 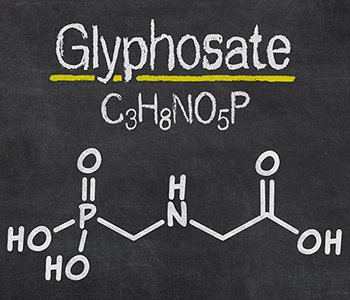 Glyphosate has a particular affinity for manganese, drawing it out of plants in order to thwart the enzymatic expression of 5-enolpyruvylshikimate-3-phosphate synthase, or EPSPS, an enzyme that plants need to produce essential aromatic amino acids like tryptophan and phenylalanine. These amino acids serve as the building blocks of proteins and as precursors to various growth factors and defense systems by which plants protect themselves against disease. Put simply, glyphosate performs two primary functions in agriculture – it robs plants of vital nutrients and weakens their immune defenses, resulting in their systematic destruction and eventual death. Since glyphosate, by design, kills nearly every living thing with which it comes into contact, Monsanto has had to genetically engineer and patent an entire lineup of “Roundup Ready” crops that are resistant to its application – no harm, no foul to anything other than all those obnoxious weeds, right? Fertile soil is a living organism as well, rich in beneficial microbes that glyphosate and Roundup have been gradually saturating and destroying by the tens of millions of acres over the past four-or-so decades since it was first released commercially. Recognizing that plants and food crops get the nutrients they need from healthy soils, this is obviously a problematic scenario. When soils are stripped of nutrients and killed by glyphosate, the result is nutrient-deficient food that’s far less nourishing than food grown in healthy, microbially-rich soils. And this is just one of the many major problems with glyphosate’s widespread use. Another serious issue is glyphosate’s increasing presence inside the foods we’re eating, a growing problem that’s proving to have disastrous consequences for public health. The direct uptake of glyphosate by plants via their root systems is a verified fact. One study out of Norway looking at Roundup Ready soybean crops confirmed the presence of glyphosate inside the beans themselves, and even Monsanto itself admits that some glyphosate remains on and in food crops like canola, cotton, and corn that are heavily sprayed with it. This means that animals and people are literally eating glyphosate in unknown amounts on a regular basis. Monsanto claims that this isn’t all that big of a deal because humans don’t possess the shikimate pathway targeted by glyphosate, and thus the chemical is completely harmless to human health. But the scary truth is, glyphosate is implicated in triggering and contributing to a host of serious health problems in both animals and humans, both directly and indirectly. A number of independent and publicly-funded studies essentially prove this. Indirectly, glyphosate damages both food crops and soils, depleting them of the nutrients our bodies need for health. 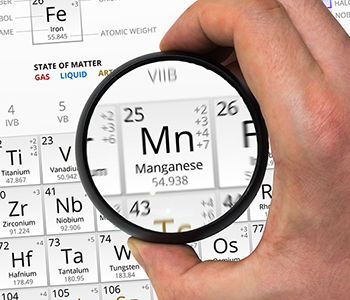 Manganese, which I mentioned earlier as being a chelating target of glyphosate, is an important trace mineral that governs multiple essential functions within the human body. For instance, manganese protects the integrity of mitochondria, the energy centers of our cells, against degradative oxidative damage. It also protects bone integrity, gut balance, bile acid homeostasis, neurological function, as well as a number of other vital life systems. If glyphosate’s broad-spectrum chelating ability to strip not only manganese but a host of other vital nutrients from plants and soils is enough to kill them, imagine what it’s doing to our bodies when we consume the nutrient-deficient foods derived from them! Add to this the direct eﬀects of glyphosate on human physiology and it quickly becomes apparent just how much of a toxic threat this supposedly “safe” herbicide truly is to human health. Before I get into the various cancer-related outcomes of glyphosate exposure, there are a number of other toxic effects that you need to know about to truly understand what we’re dealing with here. Truth be told, glyphosate is associated with practically every major disease epidemic humans currently face. Everything from endocrine disruption and obesity to diabetes and heart disease – and, of course, cancer – has a scientific tie-in to glyphosate exposure. It’s highly persistent. U.S. Geological Survey data shows that glyphosate is present in more than half of all surface waters, soil, and sediment. Aminomethylphosphonic acid (AMPA), its degradation product, is even more commonly detected, showing up in more than 80% of wastewater samples collected at municipal treatment plants. It’s killing oﬀ our precious pollinators. Monarch butterflies are literally dropping like flies, with a shocking 81% of them having disappeared as a result of glyphosate exposure, according to researchers from Iowa State University (ISU). Glyphosate destroys the insect’s vital food source, milkweed, leaving the creatures to fend for themselves. Translation: they eventually starve to death. It’s destroying people’s guts and immune systems. Glyphosate is a registered anti- microbial agent that annihilates organisms, both good and bad. When it enters your gastrointestinal tract, glyphosate not only destroys protective organisms like bacillus and lactobacillus, it also inhibits the growth of new protective organisms, leaving your body vulnerable to pathogenic invaders and bowel diseases like leaky gut syndrome. It’s even more toxic in combination with the other chemicals found in Roundup. Dr. Robin Mesnage is a scientist at the acclaimed International Agency for Research on Cancer (IARC), a division of the World Health Organization (WHO). He’s also a leading expert at King’s College of London’s Department of Medical and Molecular Genetics and recently declared glyphosate to be “definitely genotoxic,” meaning it causes cell mutations. Concerning glyphosate’s cancer-causing potential, a panel of scientists at IARC – of which Dr. Mesnage is a member – unanimously declared glyphosate to be “probably carcinogenic” to humans back in 2015. 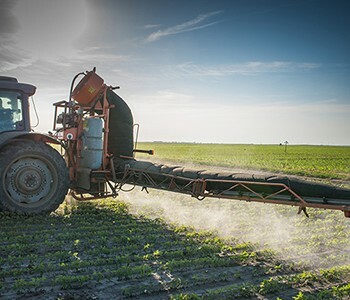 The group’s assessment revealed multiple lines of evidence showing tumors of the kidney, pancreas, and other organs resulting from exposure to glyphosate. Epidemiological studies that were also taken into account linked glyphosate to DNA and chromosomal damage, another mechanism that leads to cancer formation. In case you were wondering, IARC isn’t some kooky special-interest group with an axe to grind; it’s the world’s leading authority on all things cancer. Its committees are made up of highly-qualified, cream- of-the-crop scientists who know what they’re talking about when it comes to carcinogenic substances. A case in point: another one of the 17 scientists who unanimously determined glyphosate’s probable carcinogenicity was Dr. Aaron Blair, a distinguished and now-retired epidemiologist who formerly served at the U.S. National Cancer Institute. The U.S. Environmental Protection Agency (EPA) also weighed in on glyphosate’s safety risks back in 1985, classifying the chemical as a “possible carcinogen” after experiments showed tumors in rodents exposed to the chemical. This designation would have persisted, had Monsanto not responded to the findings with its own input and influence – ultimately driving the FDA to suddenly and arbitrarily reclassify glyphosate as a non- carcinogenic substance just six years later, in 1991. A two-year animal feeding trial – the only one of its kind ever to be conducted on glyphosate – found that exposure to Roundup-resistant NK 603, a genetically-modified maize (corn) product manufactured by Monsanto, as well as Monsanto’s Roundup herbicide itself, causes rats to develop kidney failure, liver congestion, necrosis, pituitary failure, and mammary tumors. Mortality rates amongst the mice also increased between two- to threefold as a result of exposure to Roundup and GM corn. Researchers from the Department of Oncology at University Hospital in Sweden found that human exposure to glyphosate triples the risk of a specific subtype of non-Hodgkin lymphoma known as lymphocytic lymphoma. However, because the gap between time of exposure and when the cancer forms can be upwards of 10 years, the findings remain obscured. In the same vein, a systematic review of 44 scientific studies conducted several years later concluded that glyphosate doubles the risk of non-Hodgkin lymphoma amongst farmers who use it on their crops. The evidence is now so strong on this issue that a group of Nebraska farmers recently filed a lawsuit against Monsanto claiming that glyphosate caused them to develop non-Hodgkin lymphoma, a cancer of the immune system. Research into glyphosate’s eﬀects on gut bacteria shows that it’s exceptionally damaging to beneficial microbes, while harmful microbes are mostly resistant to it. Since the gut is the cradle of the human immune system, the consequence of this assault on our microbiota is a greatly increased risk of chronic illness, not the least of which includes cancer. Recognizing that glyphosate disrupts human digestion in much the same way that it provokes disease and death in target plant species, it doesn’t take a rocket scientist to figure out that consuming even trace amounts of this toxic herbicide in food is detrimental to health. And yet, avoiding glyphosate is becoming increasingly more diﬃcult as its presence grows more ubiquitous throughout our modern food supply. This is the direct result of farmers using it not only as a broad-spectrum weed killer, but also as a pre-harvest crop desiccant. What is a dessicant, you might be wondering? Existing law allows farmers to douse cereal grains like wheat and oats as well as oilseed, rapeseed (canola), and sugar cane with glyphosate just prior to harvest – not solely to kill weeds, but also to rush along the ripening process and promote the rapid release of new seeds. Doing this is economically advantageous for farmers trying to maximize their profits, but detrimental to the health and wellbeing of those who eat the various food products made from these contaminated crops, which include many common foods like bread and pastries. Some scientists now speculate that celiac disease, as well as various forms of “gluten intolerance,” may actually be indications of systemic glyphosate poisoning rather than an allergic reaction to gluten. Their reasoning is that many celiac and gluten intolerance symptoms parallel those associated with chronic glyphosate exposure – microbial imbalance in the gut, nutrient deficiency, and heightened cancer risk being among these. “Celiac disease is associated with imbalances in gut bacteria that can be fully explained by the known eﬀects of glyphosate on gut bacteria,” explains one study on the subject published in the journal Interdisciplinary Toxicology. “Characteristics of celiac disease point to impairment in many cytochrome P450 enzymes, which are involved with detoxifying environmental toxins, activating vitamin D3, catabolizing vitamin A, and maintaining bile acid production and sulfate supplies to the gut,” it adds, noting that glyphosate has the same pathological effects. “Deficiencies in iron, cobalt, molybdenum, copper, and other rare metals associated with celiac disease can be attributed to glyphosate’s strong ability to chelate these elements. 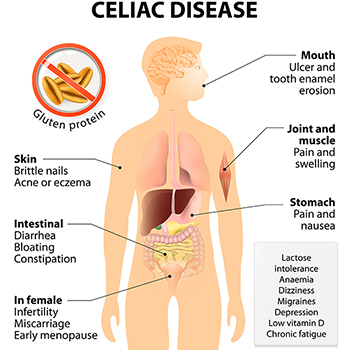 Deficiencies in tryptophan, tyrosine, methionine, and selenomethionine associated with celiac disease match glyphosate’s known depletion of these amino acids. 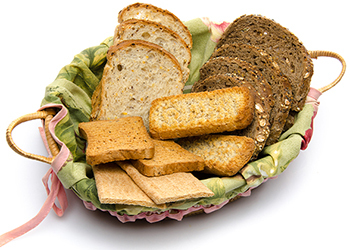 Avoid all food products made with conventionally-grown wheat and other grains. Every time you purchase bread, crackers, or some other food product made with conventional wheat, barley, or rye, you’re potentially exposing yourself to dangerously high levels of glyphosate. These are the most common food crops sprayed with glyphosate as a pre-harvest desiccant. 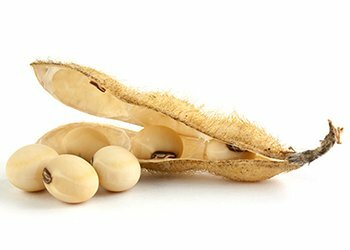 Other crops that are frequently sprayed include canola, sugar, and pulse (legume) crops such as beans and peas. Avoid GMOs. Genetically-modified organisms and conventional food crops in general are almost always sprayed with glyphosate in the form of Roundup. The most common GMOs in our food supply include ingredients derived from corn, soybeans, canola, cotton, sugar (from sugar beets), zucchini, yellow squash, and papaya. Certified-organic foods are better, but still not in the clear. The U.S. Department of Agriculture’s National Organic Program standards prohibit the use of glyphosate on certified-organic food crops. But tests have shown that many of them still contain small amounts of glyphosate. This is likely the result of glyphosate drift from nearby farms that use it, as well as exposure through contaminated rainwater and irrigation systems. Look for certified glyphosate-free foods. Because of growing awareness about the glyphosate problem, forward-thinking companies like Tropical Traditions have begun actively testing all of their products to ensure that they’re free and clear of glyphosate. Looking for the “Healthy Traditions Glyphosate Tested” seal will ensure that you’re buying only the cleanest foods possible for you and your family. Avoid vaccines and commercial gelatin. Vaccines are another common source of exposure for glyphosate due to the fact that many of their ingredients are derived from contaminated animal and plant materials. Research compiled by independent scientist Anthony Samsel and Stephanie Seneﬀ, his colleague from MIT, show that popular childhood vaccines like Zostavax (shingles), MMR (measles, mumps, and rubella), and MMR-II are among the worst oﬀenders. The latter two show some of the highest contamination levels of glyphosate in multiple confirmed laboratory tests! This same research implicates commercial gelatin, which is found in many vitamin and dietary supplement products, as well as gelatin- containing processed foods, as a prominent glyphosate oﬀender. Gelatin, also a common ingredient in vaccines, often contains concentrated levels of glyphosate that, over time, build up in the animal tissue and bones from which it’s derived. Stick with gelatin derived only from pasture-raised animals and you’ll help minimize your risk of exposure. Invest in an advanced water filtration system. Glyphosate is just one herbicide among many that now contaminate many of our nation’s drinking water sources. 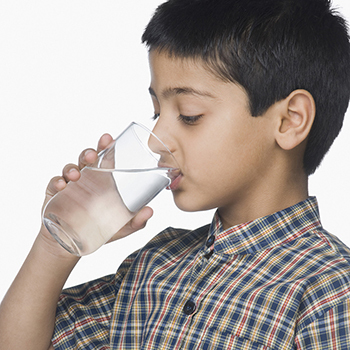 High-end reverse osmosis followed by activated carbon filtration is one of your better options, as is ozone treatment. 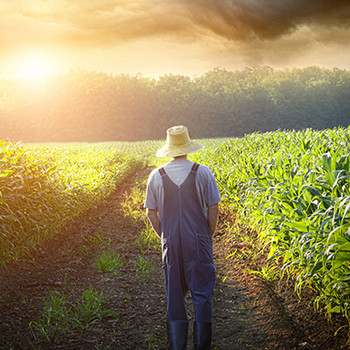 Adopt a chemical-free, detoxifying dietary regimen for improved glyphosate resistance. Consuming plenty of clean-grown, sulfur-rich foods like cruciferous vegetables, onions, garlic, pastured meat and eggs, wild fish, and nuts is a great way to not only avoid glyphosate, but also help rid it from your body as part of a detoxifying diet. Broad-spectrum detoxification formulas that include sulfur-rich amino acids, food-based vitamin and trace mineral cofactors, and potent botanical extracts like Ginkgo biloba can further help to prevent glyphosate-induced toxicity within your body. Speak up for change. The only way we’re ever going to eliminate the dangers of glyphosate from our food and water supplies is from a full and immediate ban on its use. 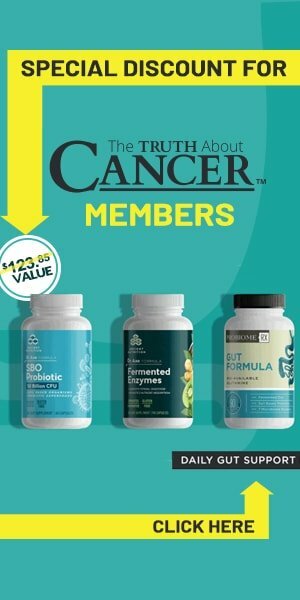 Monsanto is a powerful company with deep pockets, but our Truth About Cancer community is also a powerful voice. Wherever you live in the world, I encourage you to push your legislators to support legislation that bans glyphosate (Roundup) and GMOs, and educate your family and friends so they will do the same. Glyphosate is the primary active ingredient in Roundup herbicide, manufactured by the Monsanto Company. 300 millions pounds of glyphosate are applied to US farms annually. Glyphosate robs plants of vital nutrients and weakens their immune defenses, resulting in their systematic destruction and eventual death. When soils are stripped of nutrients and killed by glyphosate, the result is nutrient-deficient food that’s far less nourishing than food grown in healthy soil. Glyphosate is associated with practically every major disease epidemic humans currently face. Some scientists speculate that celiac disease may actually be an indication of systemic glyphosate poisoning. Keep health-damaging weed killer out of our bread! How long does glyphosate remain in roundup ready corn after it is applied? suits against them are effective for change!! Thanks for your comment Carol! How can I avoid Round up? Just today I came across someone spraying on the side of the road on 225 in Bay Minette, Al. It was a long stretch of road. Came home feeling sick, sore throat, other symptoms. How can I stop them from doing this? Left one place, Calvert, Al. Did the same thing. I personally know 2 women that have dealt with lymphoma while living in Calvert. . I thought if I move here, it would be better. but now I am having the same thing happen again. Just been living here 6 months. So frustrated. Sue them for using the chemical and you can as there are cheaper ways of killing weeds and get a blood test for glycophosphates in your blood before you do so you will have proof! Maybe we together can get rid of Monsanto and their gripe on farmers and people! They want to monopolize the round up market so they can sell seeds ,Hybrid seeds and make big money on everything! They don’t care if you die! I have been an organic landscaper for 5 years. Practically all my customers totally agree that they don’t want their property contaminated and want to do their part in saving the environment. I do too. Thank you for the article and the research. I taught science and the scientific method for 36 years. The method REQUIRES that we put all biases aside when doing research. I wonder if Monsanto’s scientists do? Thank you very much Ty and the rest of the team. It’s great that you found your life mission and you are helping alot of people understanding what is really going on and giving us the opportunity to make the choices we judge are the best for us. God bless you guys! I read recently that Monsanto Chemical was purchased by Bayer so we not only have to fight Monsanto but Bayer as well. In addition the FDA in the past has appointed former Monsanto Execs. to their staff so trying to stop the proliferation of glyphosate will be that much harder! The FDA is not on our side as they readily approve synthetic drugs to market that have not been long term tested and we are the guinea pigs for same! Ty, you said to eat wild fish, however Mike Adams’s tests show that they all contain mercury. drink your pee. urine therapy is the magic bullet. our creator designed us perfectly with an in-built bypass from all this crazy stuff. No need to eat animal flesh. Distilled water and whole food plant-based vegan diet combined with urine therapy. No need to despair. They are banking on us being well trained monkeys, and never figuring out what urine really is. Disappoint them. At the ages of 21- 24, I sprayed RoundUp Pro almost everyday seasonally for a landscape company and occasionally for years after that. It was impossible even with caution not to have it spill over or be misted onto exposed skin. (Naively, a thought RoundUp kills anything photosynthetic and I am not photosynthetic, and so I thought I was not in danger of poisoning.) Six years later I was diagnosed with severe hypothyroidism (autoimmune disease) and six years after that at the age of 36 with aggressive breast cancer. I have always wondered if there is a connection. Any thoughts? Sarah, I’m so sorry to hear about both of your alarming diagnosis. I am not an MD but I have watched every episode of TTAC and I feel certain that your contact with Roundup contributed to both your thyroid disease and breast cancer. You should also look into the docu-series on autoimmune disorders with Jonathan Otto. Any ‘authority’ who tells me to avoid vacines is suspect. Therefore, I have to question the accuracy and authority of this writer. Sure Cheryl. You like vaccines, get vaccinated to your heart content, you can even have a monthly dose. You like glyphosate , no problem, have a cup a day. As to the rest of us we know what not to do. I second that comment Sam! Sam , looks like Cheryl thinks she ” knows ” what’s good for her . Bonn Apatite Cheryl . Hope your family comes to visit you when Big Pharma and Big Agra products , sanctioned by bought off legislators , put you in a hospital bed . Please see my response. You are both correct. We do need vaccines. Yes. The content, however, can very easily be changed. Gelatin from grass-fed organically raised animals, for instance. But who knew we even had to worry about that?! Company’s like Monsanto are above the law, they pay off the crooked politicians, whom are so stupid to know that they are at risk, also, to the same fate of all of us. Thanks to you Ty and to everyone at The Truth About Cancer for continuing to spread the “truth”, especially on the subject of “glyphosate”! It emphasizes the importance of knowing exactly what you are eating, organic, raw whole food is so critical for good health! Keep up the great work! I’m glad that the courts finally seem awarding settlements against Monsanto/Bayer. It’s a long time coming and hopefully a move in the right direction. However, I think more focus needs to be placed on the water aspect I know you mentioned getting a water filter, but for some regions, it seems this is an absolute necessity given the daily continuous exposure from runoff. It’s infiltrating our water supply something fierce and the impact may be worse than food intake! Right. We use a Berkey water filter for the water we actually drink/cook with. The company claims it removes chemicals including Roundup, and is moderately priced. We aren’t wealthy and it’s the least expensive option for us. No, I don’t have any vested interest in Berkey. Has using Roundup caused any physical skin injuries? If Yes what are/were the symptoms?? Get a blood test and you will have a test to deliver to the courts! Maybe enough lawsuits will get rid of bayer and Monsanto! Did you know that Bayer Aspirin what bad for people over 50 and children too! If your bleeding under the skin and your taking Aspirin it’s too much for your system to handle! The Doctor told my Husband , Oh its just old age your experiencing! Why then it stopped after he quit it! These people don’t care!, it’s all about money! At the end of times ther will be plenty to eat plenty drink but can’t eat or drink it.and that is what is happening now . What are you confused about? Please let us know what we can do to help you. Thanks! I’m confused about the point in this article about to avoid vaccines, it doesn’t give much information about it and i have observed that many are angry about this point. the mere fact such a point is in this article also gives me the suspicion that the whole piece is satire which would make sense as to other points i found amusing example the exaggeration of certain parts. the reason for my question is that i wish to use this article in a project about glyphosate and i don’t want any satire articles in my report. We’re so sorry to hear this. Sadly to say, We have no way out of this. But we can reach out to everyone to let them know what is in our food and environment With prayer and hope this may be stopped for the sake of our health. Monsanto has power and access to the most highest leader in this country and he will not prevail due to his riches. Thanks Ty and your team for delivering the “truth” about cancer and the importance of doing our best to maintain a healthy life.